How long ( after leaving ) does one have to keep Hong Kong landing slips? How long does one have to keep Hong Kong landing slips after leaving the territory? I understand that I have to keep a Hong Kong landing slip till I leave Hong Kong, but can I throw it away right after I leave Hong Kong? If not, in which cases do I need it? 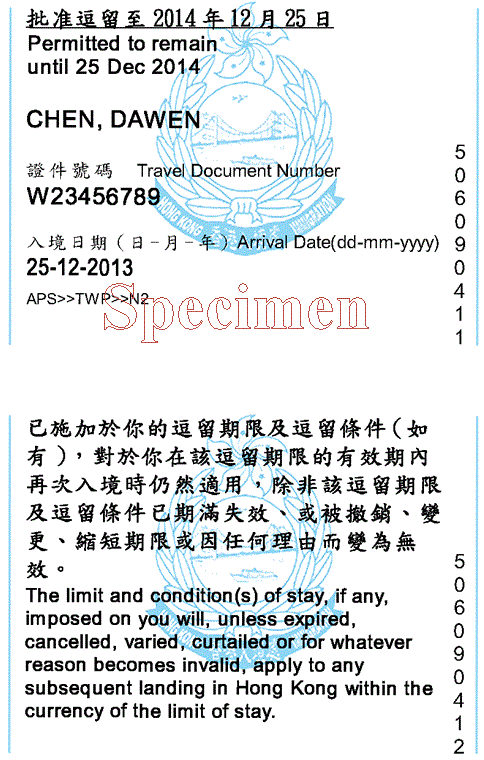 For example, the Chinese immigration asks for the Hong Kong landing slip when applying for the Shenzhen SEZ Tourism Visa when entering Shenzhen. I wonder whether there exist other cases when one may need the Hong Kong landing slip after leaving Hong Kong. There are some cases, or personal reasons why you would want to keep it thought. In fact I personally do not like the fact that passport stamps are abolished. A personal experience I had with such a case was the need to show evidence from to 3rd-party country that I indeed exited that country and entered HK( due to a bureaucratic mess ). In that case this little "slip" actually saved the situation - and I am since keeping ALL of the slips I get from each country I visit . Another example would be ( in some cases ) where you would want to apply for a permanent resident visa to HK ( while outside HK ), or when need to prove the "right of adobe" - that slip is not mandatory but can help in explaining some situations. This slip is just an "evidence" of your entry, and in fact, the HK authorities do not even need it - it is all documented digitally and you can even get copies of all slips at any immigration point - and also at the immigration tower in wan chai. Also, regarding the case you have just mentioned of the Chinese immigration - this happened to me once in Macau also ( going by ferry from HK ) and in fact, also ARRIVING in HK I was asked for the MACAU slip. do I guess it works both ways. Does passing immigration without still entering a third country qualifies as 100% "leaving" ? Not the answer you're looking for? Browse other questions tagged paperwork hong-kong or ask your own question. Can one just keep a picture of the Hong Kong landing slip, or does one have to keep the paper version of it?